Boxing is the sport of the unpredictable but even after a shocking win transpires right in front of your very eyes you begin to realize that it really wasn’t an upset after all. 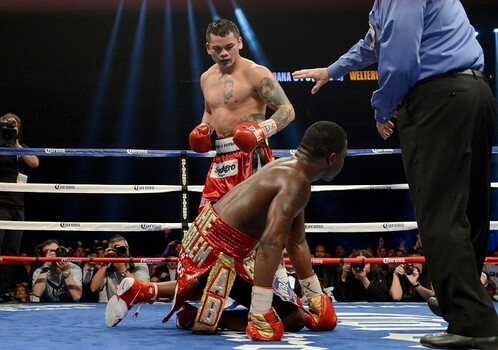 Sure, the newly crowned champion Marcos Maidana may not have been the slickest fighter with the flashiest mouth or headline catching antics, but he is as durable as the come and possessed the determination and true grit of a real fighter who doesn’t think that every fight engaged in is a celebrity event. This is the sport of boxing and nothing is guaranteed no matter how much money was invested into the built up corporate favorite. And while this game largely is controlled by the big money interests, the two fists of a determined opponent who the world may have viewed as a stepping stone can change all of that! This is what happened in this fight as Adrian Broner learned what it felt like to be in a real brawl and had no answers to the PROBLEM he faced! 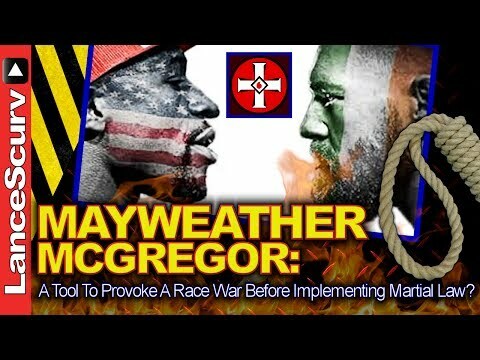 We spoke to several individuals right after the just decision was rendered and it was a wonderful conversation between a few boxing purists still hyped up from the treat that they enjoyed mere moments before! We will do this again real soon and I enjoyed the sincere passion to all who called in! Next : Adrian Broner Exposed: The Hilarious Final Act Of The Circus That Rudely Came To Town! 8 Hoodrat Savages Beatdown 1 Girl In A Brooklyn McDonald’s And No One Breaks It Up! McDonald’s Employee Latia Harris Beats Down Catherine Ferreira In Front Of Her Two Year Old Son!